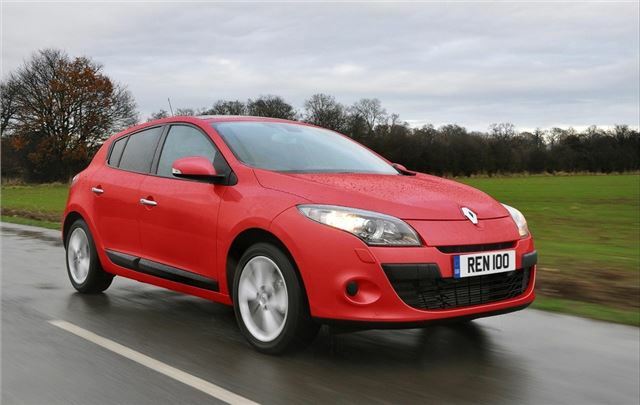 Renault has cut prices on some of its most popular models including the new Wind, Clio, Megane, Megane Coupe-Cabriolet and Laguna, by up to £2,000. The reductions come into effect on 4th of January 2011 and will be a welcome discount in spite of the increase in VAT to 20%. The price cut follows Renault's recent move to simplify its model range, cutting the number of models it offers by a third. Compared to October 2010 prices, there is £1,415 off the Dynamique TomTom dCi 150 version of the Laguna hatchback at £20,485 along with £1,315 off the equivalent Sport Tourer. The Laguna Coupe GT Line TomTom 2.0 dCi 180 is now £1,970 less* than before, at £25,000 while the now top-of-the-range GT Line TomTom V6 dCi 235 Auto is even more of a bargain, with £2,300 off of its former £30,800 list price. The flagship of the Renault range, the Grand Espace, also gets money off with £2,050 sliced off the Dynamique TomTom 2.0 dCi 150, now £26,550. Further down the range, up to £1,055 has been trimmed off Dynamique TomTom versions of the Megane, with an average of £410 off of the entry-level Expression versions too. The svelte Megane Coupe has also slimmed down, with a sizeable £1,060 taken off the Dynamique TomTom 1.4 TCe 130, now £17,995, and a typical cut of £430 on Expression. The Megane Coupe-Cabriolet also sees its prices lowered by up to £1,750 in the case of the flagship dCi 160, at £24,580. Buyers seeking something equally stylish but a little more compact, could opt for the Wind roadster, now £500 less, starting at £15,000. Other models offering significant price cuts are the Clio three, five-door and Sport Tourer range, typically between £500 to £600. Some highlights include the new entry-level three-door Expression for £10,250, now £790 less than the previous Extreme, again without removing any kit. The popular Scenic range is also several pounds lighter, with £170 off the entry-level 1.6 Expression and £370 off the Grand Scenic Expression TCe 130. Renault has also increased equipment specification at no extra cost. As a prime example of the added value, the Laguna Coupe GT Line TomTom now boasts fully-integrated Carminat TomTom satellite navigation as standard, previously a £460 option, on top of the £1,970 price cut for the dCi 180 version.